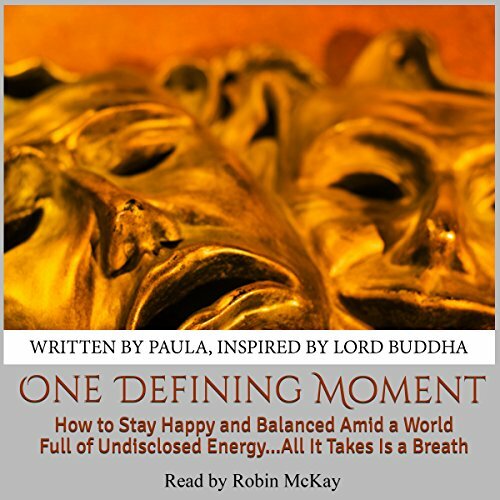 Showing results by author "Written by Paula Inspired by Lord Buddha"
One Defining Moment is hopeful audiobook filled with helpful hints on how to stay happy and balanced amid a world full of turbulent overtones. It's an important reminder to know these deterrents can drift in the recesses of your mind like computer pop-ups demanding attention. Viewing that much of what you experience in life actually stems from the influence of unseen forces will help you employ moving energy techniques and avoid lengthy stagnation periods or depression.